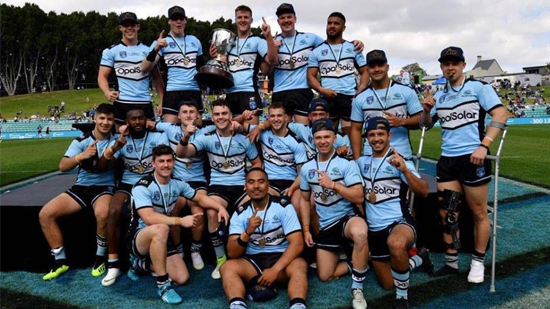 The 2019 Jersey Flegg Cup season is just a few months away and the clubs are already back into pre-season training. As we get them, we’ll post all the club’s squads for the upcoming season. Please bear in mind, that many of these squads are summer squads and contain a number of SG Ball players and trialists. Players in bold played Jersey Flegg in 2018. Bailey Antrobus, Blake Barbuto, Jalal Bazzaz, Jake Brisbane, James Coyne, Matthew Delbanco, Bailey Dickinson, Ashley Dunlop, Jiye Ellis, Jake Fitgerald, Ben Fulton, Luke Gale, Ethan George, Harris Georgopoulos, Blair Grant, Dante Lusio, Sam McCann, Jye McRae, Tyler Moon, Matthew Nicholson, Shalom O’Ofou, Cody Ramsey, Shaun Sauni-Esau, Hudson Spicer, Simeone Taateo, Duane Willemsen, Tyran Wishart.